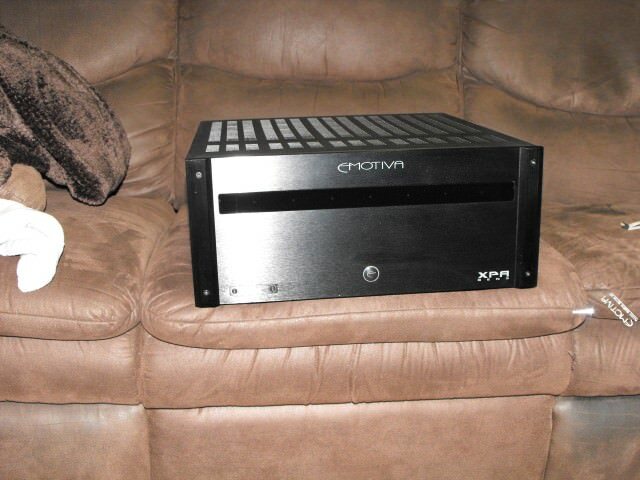 I have a Yamaha RX-A3050 to power my home theater room. Out of the box it worked great. I got it all set up, configured the speakers, sound etc and began enjoying my room.. Soon after I programmed a Harmony universal remote. The first time I powered on my system I got video but no sound from any AV source. I noticed the speaker ICONS that were normally on the front display of the receiver screen were gone. I also noticed when I hit the display button on my Yamaha remote a message appeared on the top right of my projector screen that says "AMP OFF". I cannot find anything in the receiver settings menu anywhere that says I can turn the "AMP" on an off. Eventually, after about an hour of frustration I restored the receiver to factory settings and re configured everything (except my Harmony remote). All is working fine but I still want to use a universal RF remote and like the Harmony. I want to try the Harmony again but need to know how to correct the "AMP OFF" problem if it happens again without resetting my receiver to factory. Can someone help me understand what happened and how to correct it? It all matters.....just not very much. Look at page 141 in the online manual.